Time to Renew, Not Repeal or Retreat! This week, on its first day, Congress passed a Resolution that begins the process to repeal the Affordable Care Act (ACA). Repealing ACA threatens access to health coverage and Medicaid for 20 million people. It would also reduce Medicare prescription drug coverage, reduce Medicare preventive benefits, and decrease the long-term solvency of the Medicare program. ACA, Medicare and Medicaid are intertwined. Repealing the Affordable Care Act would also harm Medicare and Medicaid. It would harm the people, like Mrs. D, who raised her own family and is now raising her grandchildren. Policy-makers need to know how their decisions impact real people. If you know someone who has benefited from the Affordable Care Act, Medicare and/or Medicaid – Tell Your Story! November 29, 2016 – Despite statements during the campaign that he would protect Medicare, the President-Elect is indicating otherwise with his selections of Rep. Tom Price (R-GA) to head the Department of Health & Human Services, and health consultant Seema Verma to head the Centers for Medicare & Medicaid Services. Price is an ardent foe of the Affordable Care Act, although it has extended the solvency of the Medicare Part A Trust Fund, closed gaps in prescription drug coverage, and expanded preventive benefits under Medicare. In 1995 Newt Gingrich predicted that privatization efforts would lead Medicare to wither on the vine. He said it was unwise to get rid of Medicare right away, but envisioned a time when it would no longer exist because beneficiaries would move to private insurance plans. Limits on access to Medigap insurance to supplement traditional Medicare and on benefits for those who can obtain a Medigap policy. It didn’t take a crystal ball. It took a vision, planning and persistence. The Center for Medicare Advocacy also has vision, planning and persistence. We do all we can to keep Medicare focused on the needs of older and disabled people, not the insurance industry. We speak out with expertise and with the stories of real people. With your support, we’ll keep insisting that Medicare is fully present for the families that rely on it – now and in the future. We’re ready to keep Medicare from withering on the vine. The title of Paul Krugman’s piece in today’s NY Times says it all. The Medicare Killers tells the truth about the Trump/Ryan plan to turn back the clock on Medicare and give it away to the private insurance industry. A good deal for insurance companies, but a very bad deal for the 60 million older and disabled people who access health care through Medicare. Importantly, as Krugman writes, this is not necessary. It’s just the latest ploy to privatize Medicare. Call it what it is. 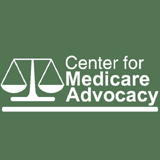 Help the Center for Medicare Advocacy speak out against false claims and misinformation that could rob older people and people with disabilities of necessary health care – and diminish Medicare for generations to come. Spread the word. Tell the truth about Medicare. Speaker Paul Ryan is already in the news saying that because of “Obamacare” Medicare is going broke (Fox News, 11/13/2016). As a consequence, he says, he intends to bring back his plan to privatize Medicare and change it into a voucher system. Under his plan, individuals would be given a set amount to help pay premiums for insurance on the open market. This tired idea is not necessary and not best for Medicare beneficiaries or taxpayers – all of whom would pay more and get less under the Ryan plan. It would “save” Medicare in name only. The truth is Obamacare is good for Medicare and Medicare beneficiaries. It added about 10 years to the solvency of the Medicare trust fund, preventive benefits with no co-pays, and reduced prescription drug prices for beneficiaries. Surely Mr. Ryan knows this. The truth matters. Pass it on. For more information see the Washington Post article that gives Ryan’s statement “4 Pinnochios,” their fact-checker’s worst rating for accuracy. Medicare Has Already Been Privatized. And That’s Not Good News. The Medicare trustees reported good news for Medicare today. The Trustees’ annual report finds the life of the Medicare Trust Fund has been extended another four years since their 2013 report, and an additional 13 years from their last projection before the Affordable Care Act passed. The annual report confirms that Medicare continues to provide cost-effective health insurance for more than 50 million older and disabled beneficiaries – and that the Affordable Care Act strengthened Medicare. Medicare provides health insurance and access to needed care for most Americans age 65 or older and those with significant disabilities. The 2014 Trustees Report confirms that Medicare is working well and will be in fine shape for the foreseeable future. The Trustees conclude benefits are expected to be payable in full until 2030, four more years than they projected in May 2013. “The Medicare Trustees’ favorable forecast is attributable to slowing health care costs, the recovering economy and the implementation of the Affordable Care Act. The Trustees Report answers skeptics and demonstrates that Medicare is healthy. It continues to be an efficient, cost-effective program that Americans can count on for future generations. It should be protected as one of our great success stories.” said Judith Stein, executive director of the Center for Medicare Advocacy. The positive outlook for the Medicare Trust Fund is certainly good news. There are opportunities to further improve Medicare’s well-being without reducing benefits or cutting services. Congress could secure the program’s future even more by reducing wasteful overpayments to private Medicare Advantage plans, and by obtaining the best rates possible for prescription drugs. Read the full report at http://www.cms.gov/Research-Statistics-Data-and-Systems/Statistics-Trends-and-Reports/ReportsTrustFunds/index.html.